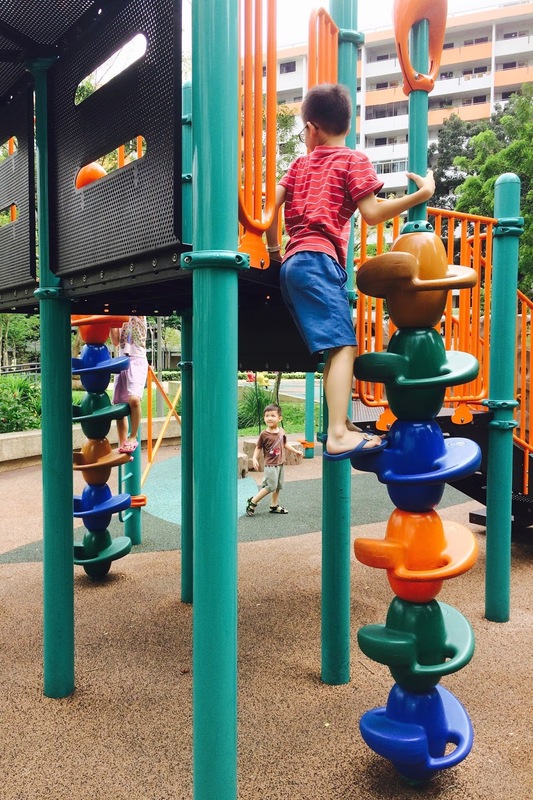 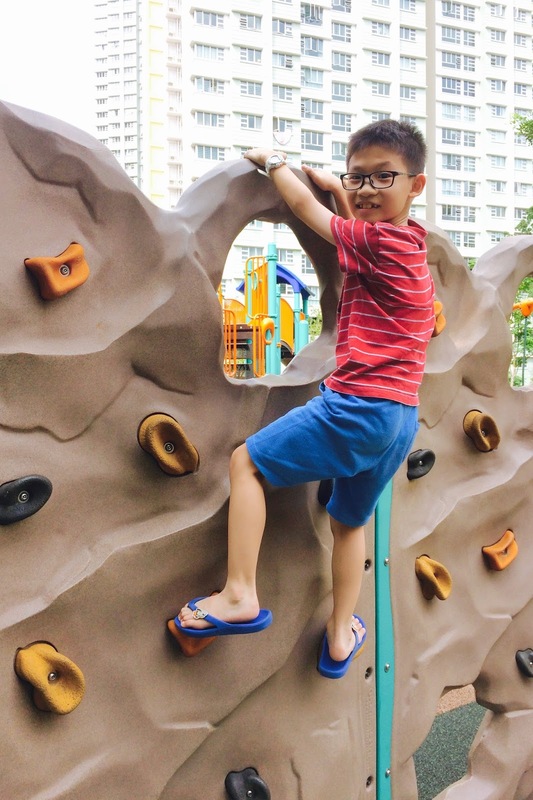 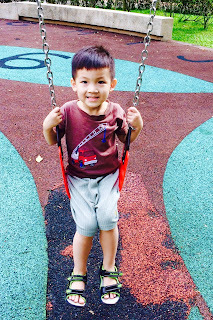 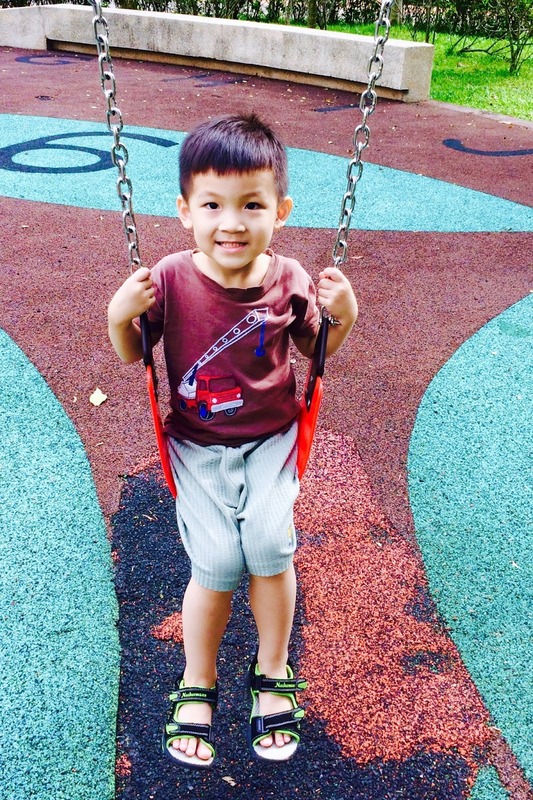 Due to rain, we could not head down to Clementi when we did the playground-hopping. And so, when the weather looked favourable, we went to visit the playgrounds at Firefly Park one afternoon. 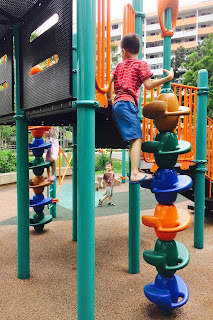 They had the children's favourite playground equipment: swings, guaranteeing at least two solid hours there. 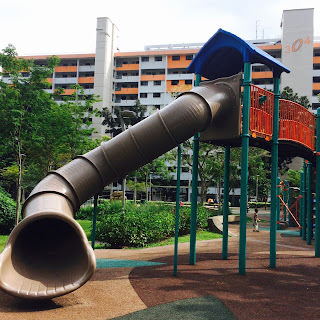 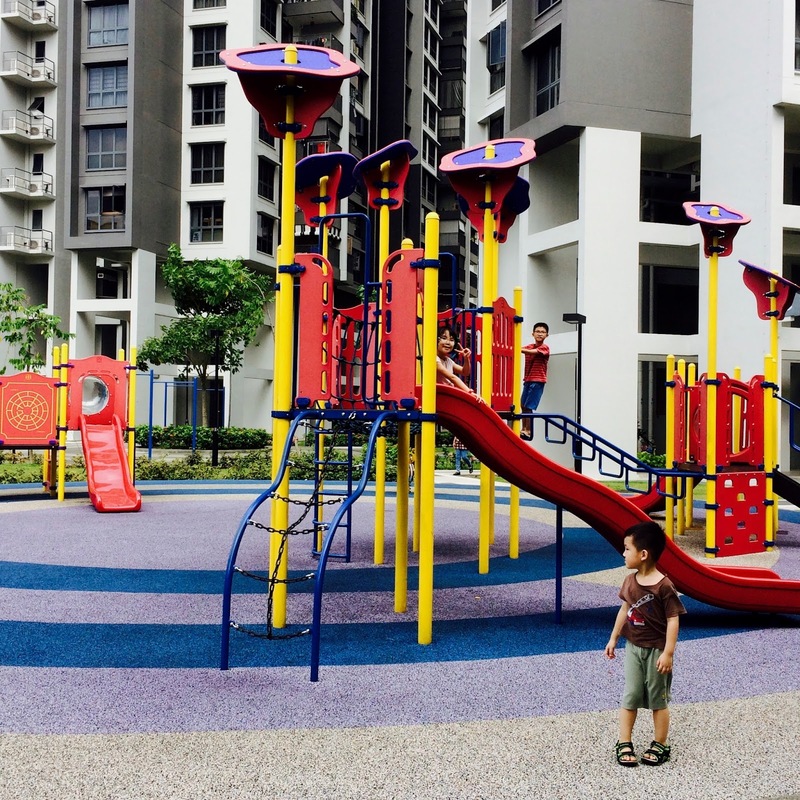 On our way to Clementi Mall for lunch, we passed by yet another interesting playground and spent some time there too.